TOKYO and TORONTO – July 11, 2013 – Ricoh Company, Ltd. (Ricoh) today announced that it has made a multimillion dollar investment in Avanti Computer Systems Limited™, a leading provider of Print Management Information Systems (MIS) solutions for the print industry. Avanti provides Print MIS software that helps commercial and in-plant printers streamline their workflow, resulting in greater productivity, customer satisfaction, and improved profit margins. With hundreds of installations throughout the commercial print and in-plant marketplace, Avanti will now be able to bring its MIS tools, including job costing, tracking and billing, scheduling, CRM, inventory management, warehouse and direct mail management, to an even broader global market. 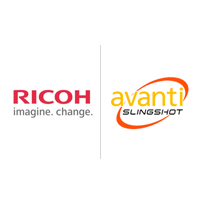 Avanti’s core technologies are uniquely positioned to complement Ricoh’s offerings with advanced solutions for mixed environments with wide format, digital cut sheet, continuous forms, offset, and fulfillment and kitting operations. Ricoh is committed to providing printers with alternative solutions that support open industry standards and connections to key production print technologies across vendors. This is the most recent investment by Ricoh to expand its reach across the print industry in an effort to ensure customers have access to the critical information they need, when they need it. Ricoh previously invested in PTI Marketing TechnologiesTM, a leading provider of marketing automation solutions for both enterprise users and print service providers. Ricoh is continuing to make these investments to further enhance the development of new management tools to help enterprises and commercial printers on their continued path toward efficiency and growth. Ricoh enables companies of all sizes around the world to help expand their businesses with tools such as data intelligence, document management software, industry-leading digital printers, and other solutions – all aimed to provide them with a sustainable, competitive advantage. In addition to Ricoh, Avanti will continue to actively market its products through all channels, including its current partner vendors.